Kalani & Krystl Tandem are World Champions…again! What a year for Kauai’s Famous Tandem Duo, Kalani Vierra and Krystl Apeles. They just won the Duke’s OceanFest ITSA World Championships this past week on small but high-performance perfection! This makes them the 2017 International Tandem Surfing Association’s (ITSA) World Champions! The World Championship featured the top 12 teams over 2 days from Hawaii, USA, Federated States of Micronesia. Krystl clearing not afraid of heights…nor waves…nor winning World Titles. Vierra and Apeles dominated the Waikiki waves, finishing the championship round with over 12 points above the 2nd place team. The ITSA year which began in February…was won by Kalani and Krystl. Then February, the pair finished first at the Buffalo Big Board Classic at Makaha. 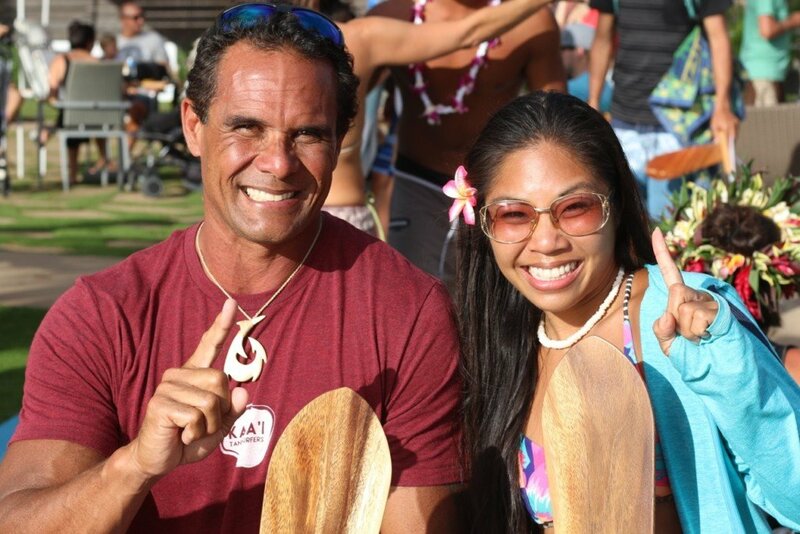 Kauai’s dominating tandem couple earned first place during the ITSA 2-star event at Turtle Bay Resort on Oahu’s Fabled North Shore in March before winning yet another victory in June at Pop’s Ah Choy Tandem Pro (ITSA 2-star event). … some great footage and insight! The 2015 World Tandem Champions, Kalani Vierra and Krystl Apeles give us a close-up view to what it takes to become world champions of tandem surfing.